But there’s another that fits just as well: Trailblazer. That’s because the Scottsdale, Ariz., native is cutting a new and unusual path to hockey stardom. 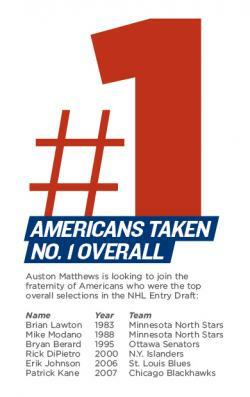 A 6-foot-2 center, he emerged as a top prospect while playing with USA Hockey’s National Team Development Program in Ann Arbor, Mich. Now, instead of spending a year in college or in Canadian Junior hockey before he enters the NHL Entry Draft, Matthews has jetted off to play in Switzerland’s top professional league, the NL A. And just 18—his birthday was Sept. 17, remember that date—he’s competing not against other young prospects, but against stronger, full-grown professionals, including some former NHLers. And he’s earning a reported $400,000 for his efforts. He’s lighting it up, too. 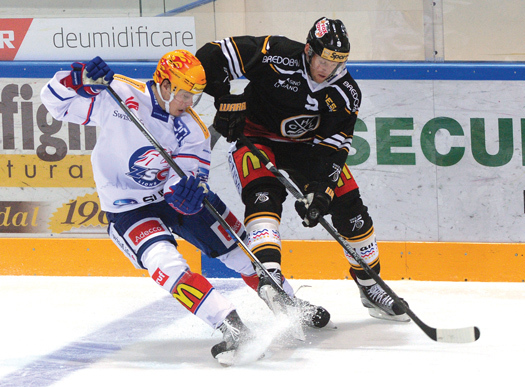 As of early January, Matthews was leading his team, the Zurich Lions, in goals with 16. Matthews himself said he didn’t go to Switzerland to be any sort of pioneer. He just wanted to play and get better. “I felt like I was ready for the next step in pro hockey and in my development, to prepare for the NHL,” he said. 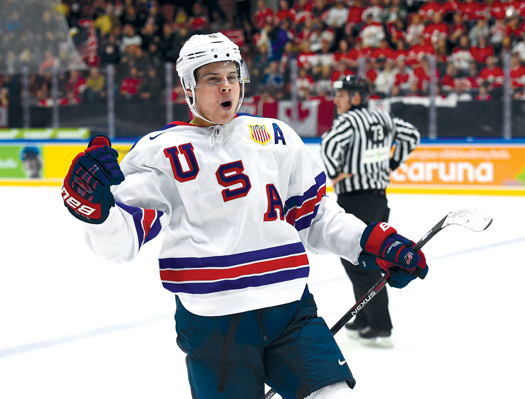 Auston Matthews lived up to the pre-World Juniors hype with a U.S.-leading 11 points in seven games. You can’t overstate the kid’s talent—his explosive acceleration, extraordinary vision and ice presence, and those exquisite hands. But what makes his rise even more astounding is where he calls home. America’s brightest new ice hockey talent grew up in a subtropical desert. Arizona boasts 294 golf courses and year-round baseball, but not even a dozen public skating rinks. In 2014-15, 3,615 boys (18 and under) played hockey in Arizona. Minnesota and Massachusetts had 13 times as many. Even tiny Rhode Island boasts 3,799 players. True, Sunbelt states have produced NHL players in recent years. See Seth Jones, Plano, Texas. And, yes, the hockey scene in Phoenix is growing rapidly. But we’re talking about a projected franchise player—one who has never stepped a skate on pond ice. Imagine the equivalent in another sport. A tennis phenom who learned to play … in Alaska. A gold-medal skier … from Hawaii. Matthews’s intention to play in Switzerland became public last summer, and initially engendered some concern. Would the NCAA and Canadian hockey lose top players to Europe’s professional leagues that could pay serious money? That doesn’t seem to be the case. David Quinn, the head coach at Boston University, talks to plenty of top-line talent on the recruiting trail. “I haven’t heard anyone bring that up,” he said. Also, Swiss teams can dress only four non-Swiss players per game, so they need import players who make an impact— often pros with NHL experience. North American teenagers won’t draw much interest unless they’re of Matthews’s caliber. Matthews does not come from your typical hockey family. His mother, Ema, is from Mexico. His father, Brian, grew up in California. They eventually settled in Scottsdale. In 1996, the Winnipeg Jets became the Phoenix Coyotes, bringing hockey within a 20-minute drive. In 1997, as the Coyotes began their second season, Brian and Ema Matthews were expecting their second child. The due date, Sept. 10, came and went. Finally, a week later than expected, their son was born. At the time, neither proud parent thought about the delayed arrival. As a toddler, Matthews began going to Coyotes games with his Uncle Billy. “He was more interested in the Zamboni than the game at first,” Brian Matthews laughed. Matthews started skating at about age 6 and soon his ability was evident. By 12, the boy was a star with the Tier 1 Arizona Bobcats, even playing up against older kids. There were few other teams in Arizona, so “travel hockey” took on a whole new dimension. When college and Junior hockey scouts started peppering Filion with calls, he turned to Brisson, a fellow French Canadian and an old hockey contact. Brisson began advising the Matthews family, and before long the birthday matter came into focus. For the NHL Entry Draft, players are eligible if they turn 18 by Sept. 15. Matthews missed it by two days. That meant if he was ever drafted, it would be in 2016, not 2015 with most 1997-born players. Back then, it seemed a mere quirk; no one dreamt it would affect a No. 1 pick. Through connections of a skating coach, Auston played some tournaments with Druzhba 78, a team of Ukrainian players brought over to experience North American hockey. At Thanksgiving in 2010, the team played in a high-level tournament in Haverhill, Mass. In the stands was Peter Ward, then the NTDP’s top scout. He had heard about an Arizona kid. Two years later, Matthews was suiting up in the red, white and blue. In his second game, in the fall of 2013, he was checked in open ice and suffered a broken femur. Screws were inserted surgically, and Matthews spent three months watching from a wheelchair, while his teammates worked and improved. Brian Matthews said the long absence lit a fire in his son. His NTDP coach, Don Granato, saw it in practice. 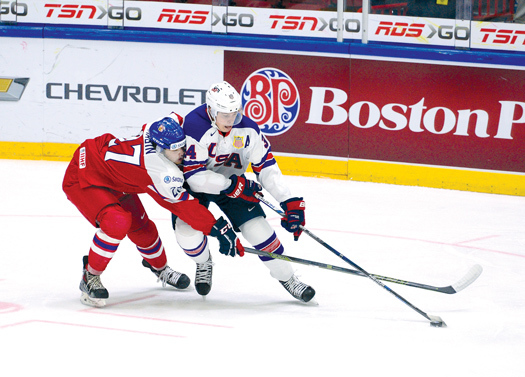 Matthews’ development accelerated so fast he was moved up to the NTDP’s older U18 team. The next season he grew rapidly and became a beast on the ice. 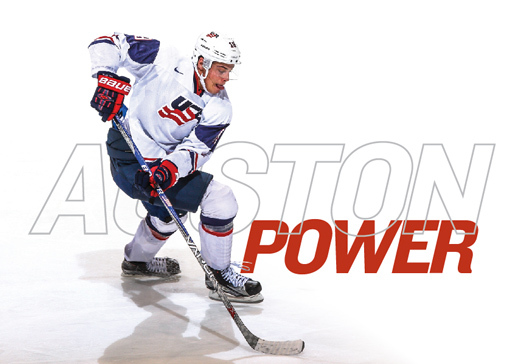 He racked up 55 goals and 62 assists for 117 points, which broke the NTDP record set by Patrick Kane—the No. 1 pick in 2007. By March of last year, the hockey world was buzzing about the 2015 draft—would the first pick be Boston University’s Jack Eichel or Canadian Connor McDavid? Many scouts believe Matthews is in their class, but it was a moot point. He would have to wait another 12 months to be drafted. At that point the choice was between NCAA or Junior hockey. One hitch for college was that he was only a junior in high school, and would have to cram an entire senior year’s worth of classes over the summer to become academically eligible. Brisson sought another option and contacted Marc Crawford, who coached the Colorado Avalanche to a Stanley Cup and is now the Zurich Lions bench boss. Maybe playing for a coach with deep NHL experience and playing against pros could be a good formula? “It was an idea,” Brisson said. Then came the IIHF Under-18 Men's World Championship, hosted by Switzerland. Team USA won six of seven games and took the gold. Matthews was the tournament’s top scorer with seven goals and eight assists, and was named MVP. Following the tournament, Matthews joined the U.S. Men’s National Team for an exhibition game in Vienna, and scored a goal. By then the Zurich Lions has seen all they needed to see. Over the summer a contract was hammered out, but red tape intervened. Work visas are allowed only for people over 18. Matthews was still a minor. Eventually, an exception for exceptional athletes was found in commercial agreements the U.S. has with Switzerland. Matthews moved into an apartment with his mother and older sister to maintain a family environment. Auston Matthews has made a smooth transition to the pro game in Switzerland, which is amazing considering he recently turned 18 years old. Zurich is “a really good fit, a good place to develop,” said Matthews, who is taking online college courses from the University of Nebraska Omaha. NL A teams usually play two games a week, leaving lots of practices and time to develop his game and his physique. In a small country, away games require only a bus ride, so he’s home every night. The hockey is more challenging than what he faced before. “The skill level is very high. It’s a pro atmosphere,” he said. Under the terms of his work visa, he couldn’t play until he turned 18, so he watched Zurich’s first 12 games from the stands. On Sept. 17 a Swiss television crew came to Zurich’s practice rink with a birthday cake with 18 candles. Ema Matthews and the stadium crew whipped up a Mexican dinner for the team. The next day, in his first game, Matthews found himself skating up the left wing. Taking a pass, he burst through the neutral zone, leaving two opposing forwards in his wake. As he crossed the blue line with speed, and two defenders converged, Matthews slid a pass to Chris Baltisberger on his right, then jetted to the crease. After just 29 minutes and 37 second into the game, the phenom had his first professional goal. In a luxury box, Brian and Ema Matthews hugged Brisson. Surely, they’ll be doing it again when Auston hears his name called when the NHL Entry Draft commences next June.